How Do We Ensure High-Quality Standards at Our New Locations? We’re committed to bringing awesome technology education to as many kids and teens as possible. Each year, our team scopes out new universities and campuses to host our summer tech programs, so we can keep growing and reach more families like yours. New Locations vs. Established Locations: What’s the Difference? Some parents have asked us how it is that campers can have the same iD Tech experience—guaranteed 8:1 student-to-instructor ratios, unreal instructors, fun camp traditions—at a camp location that’s brand new. So I sat down with our Operations Director, Robby Little, to get the lowdown on how we ensure high-quality tech education and a crazy-fun experience at ALL of our summer camp locations—established and new alike. 1. What can parents expect when they sign up for camp at one of our new locations? 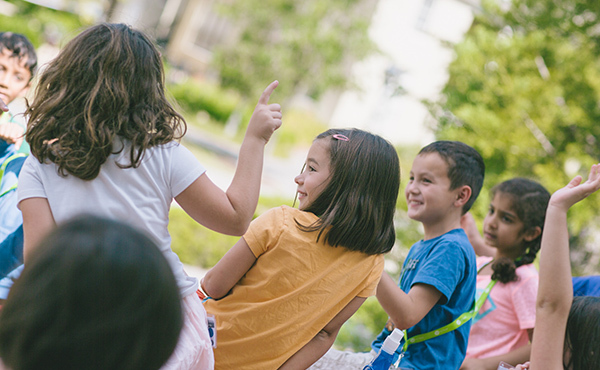 "All iD Tech locations get the same care and preparation before the start of camp, whether they’re new like Olin College of Engineering or a campus we’ve been at for more than 15 years, like Santa Clara University. The only thing that’s different is the facilities: the new lab space, dining hall, dorm rooms, and nearby landmarks. Everything else stays the same: our staff (who are all trained by our Operations Team in early spring), the daily schedule, quick and electronic check-in and checkout, customized learning with iD Game Plan, course content, camp raffles, camp nicknames—the list goes on. Everything you’ve come to know and love about iD Tech stays the same; we guarantee your child will have a blast, no matter the location they attend." 2. Camp experience is everything. Aside from our proprietary, customized curriculum, parents often tell us that the experience is what made camp so memorable. How can you really ensure that it’s the same, campus to campus? "Our consistency across all locations is really what makes iD Tech special and has made us the #1 tech camp in the world. We cannot control which universities have more green space for field games or where our lab space will be located on campus, but we can make sure that every student leaves iD Tech summer programs happy, heading home with a whole new skill set. The staff has a lot to do with that experience. All of our staff go through the same hiring process and background checks. They all attend a two-day, in-person training led by our Operations Team (many of whom have worked at the camp level previously). And they all complete a two-day orientation weekend before the first week of camp. Really, these instructors start preparing for the courses that they will teach as early as March. All of our camps use wonderful technology like iD Game Plan, our proprietary blended learning platform, and CIAO, which simplifies the check-in and checkout process—a headache at many other camps. While exact times for lunch and activities vary based on location, every camp follows the same overall schedule, which ensures that campers get the same amount of time in the lab, coupled with a commonsense balance of indoor and outdoor time. Lastly, we give all of our camps the same lab decor so that the look and feel is similar from camp to camp, whether you’re in Florida or Washington. These little details really make a difference." 3. How do instructors from past camp seasons end up at a new location? "Each year, we find the top talent to teach our camp curriculum, and then fly them all over the country to various camp locations. However, instructors from previous years may choose to work at a different camp location based on how close it is to their permanent residence. Take Davidson College, for instance. Our 2016 Camp Director at this new location worked as an instructor at UNC - Chapel Hill last summer. Davidson College is closer to her home, so she has chosen to work there in the 2016 camp season. We see this happen all the time. In fact, our Operations Team specifically tries to position returning staff at new locations. It doesn’t happen every single time, but we know that parents appreciate seeing a face they know and trust. While all instructors get the same training and go through the same hiring process, having a mix of new and returning instructors means our students get a mix of new and old camp traditions, which makes iD Tech more fun for everyone." 4. How does iD Tech choose new universities to host camps? Proximity. We’re always looking to add new locations that are closer to where are clients are traveling from. We know that a shorter commute makes things easier, so when we’re able to add a conveniently located university that will simplify things for our clients, we do so. Space. Each year we get more and more campers—especially at locations that have hosted our camps for many years. When demand is huge at a specific location, we often open up a nearby university so that every student has the opportunity to spend a week at iD Tech. Facilities. We love finding new universities with upgraded facilities. We look for new classrooms and lab spaces—especially those that are open and let in plenty of natural sunlight. Not all campuses are the same, but we always try our best to get the finest space available for our students." Which Location Will Your Child Attend This Summer? Now that you know more about how we ensure high-quality standards at our 150+ camp locations, it’s time to choose the location that’s best for your child. You can find what’s closest to home (or your summer vacation destination), by using our new Location Finder tool. Looking for a specific course or genre? Head to our courses page and find the division and course that will best suit your child’s needs and interests. Then, select “Locations” from the menu at the top of the page to see which locations offer this particular course. If you’d like help selecting a course or location, please contact our team of Program Advisors. You can chat with them online during business hours by clicking on the green bar near the bottom of our webpage. We can’t wait to see you at camp this summer! Main image of the University of Puget Sound courtesy of The Kevin.